Think back to the last time you had a crazy, all-consuming argument with your lover. For some that might have been last night and for others last year… remember how you woke up the next day and the painful feelings that loom over and all around you, the racing thoughts of desperation, frustration, sadness, perhaps shame as you rehash(ed) or even tried to reevaluate why you and your partner got to that point. It might have been a silly thing the triggered the battle like “where your kids left their shoes” or “the tomato you were planning to add to salad that your partner put away as you were taking it out” that triggered your full-out disagreement. We’ve all been there… we have an argument with our spouse and the next day wake up feeling like a freight train of emotions hit us as we walk around trying to understand how to “fix” the situation or avoid it all together. Yet so often we end up addressing surface level issues versus getting to the root-cause of what triggered the argument in the first place and overtime this is where many marriages and relationships go sideways, not addressing the root-causes that lead men and women to interact with one another in certain ways. So many couples struggle because as they try to “fix” their problems or ignore them small irritations or feelings build up and over time become boulders that crash down to destroy their relationships. For some couples, they stop trying to fix challenges which silently deteriorates relationships and for others one person in the relationship may be in denial that a problem even exists. To get to EPIC Happiness in marriage or any relationship, it’s important to see a “problem” no matter how large or small, for what it is… a signal that a change is required, that something is not quite right for one of you. The ultimate secret though is understanding the correct change to make and then to take action, actually make the change. Our existing model for marriage and relationships leads us to think that we are the problem or the issue, or that my partner caused the argument ensued… so many couples haven’t been shown how to step out their singular focus on themselves or pointing fingers at their mate long enough to really understand what core needs, feelings or fears of their own and their lover’s are causing the issue. 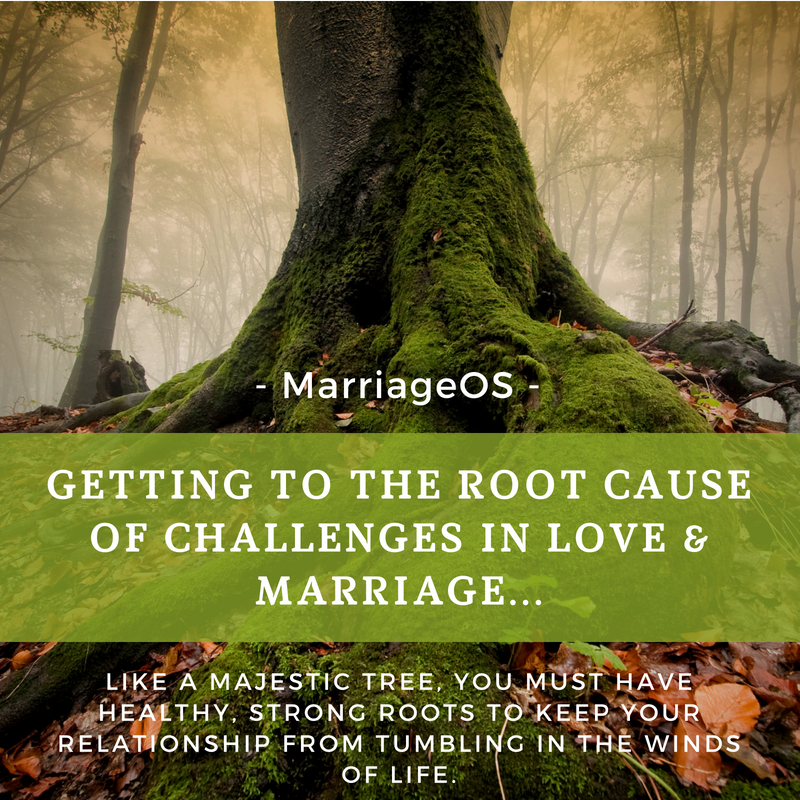 We created the state-of-the-art, updated operating system and tools for marriages, Marriage OS(TM), to help couples diagnose the root-cause so that they can get out of trouble… and fast. Some couples go round and round with the the same argument and believe that they understand what the root cause in their relationship is… naturally whatever the subject of their recurring argument. Some couples don’t argue at all, so they are confused about why the relationship is even struggling. Some couples have arguments over everything, so even though they are unhappy nothing seems to be at the cause. Communication: Mary believed that Fred just wouldn’t listen to her, that they were having struggles communicating. They saw a therapist and were taught “Active Listening” so they can stop and really hear what the other is saying. This did seem help their communication, but did it get to the root of their problem? What she found was that while “Active Listening” made them better friends, it did not leave her feeling more intimately connected nor a more desired wife. They were better friends but most definitely not better lovers. She found that although Fred seemed to hear her, she still didn’t feel as if he really understood her or knew what her deepest core feelings and needs were. For that matter she didn’t really understand herself. In Fred and Mary’s case the symptom was not “we don’t communicate,” rather the root problem was for Mary “I don’t know what my deepest core feelings, needs and fears are, nor how to express these to Fred” which ultimately translated into neither of them knowing how to really create intimate connection and passion for each other. Communication that creates the secure background and naturally leads a couple to passion is a very different energy from day-to-day communication. An affair: Kerstin felt like she’d been punched in the stomach when she learned of Todd’s affair on a recent business trip. All she could think about was the affair, it became the only problem in their marriage with all of her painful energy circling back to the betrayal, even though before the affair they were just roommates living together, neither spending time touching, talking or even just around the other. As was the cause in Kerstin and Todd’s relationship, an affair is typically not the root problem in a marriage– an affair is a symptom. The root problem is found somewhere in the dynamic the couple created leading up to the affair. Albeit deeply painful, Kerstin and Todd, through time and collective focus addressed the relationship root challenges and moved past Todd’s affair and today have a new marriage that they rebuilt with a solid foundation of unconditional love and deep trust. Loss of love: Sarah found the MarriageOS(TM) boot-camp after months of feeling alone and totally out of love with Mike, her husband of 10 years, again this was a symptom even as she thought it was her major issue. Everyday people fall in and out of love and don’t know how. Sarah, like so many spouses who feel the loss of love and connection in their marriages thought she simply wanted to leave the relationship. Falling out of love is a process and is triggered by events over time, like Sarah’s situation, leaving many spouses struggling to trust their partners. In less than eight weeks Sarah dug into her core feelings and needs and found a way to rekindle both an intense love and deep intimacy with Mike, now several years later she shared that she’s able to protect her marriage and love for Mike by reaching back to her MarriageOS tool box to swiftly identify and address the root challenge versus reacting to surface level symptoms. 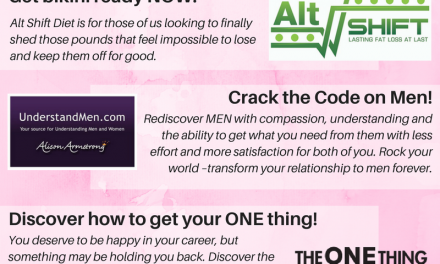 With having the tools to swiftly identify and address problems at their root, addressing them and moving forward with your spouse rather than reacting to symptoms that simply circle around and around and drain the energy and joy out of relationships. Success comes from a steady focus on consistently doing what actually works. This is true with children, finances, health and relationships. Every day an intimate relationship needs to be nourished and cared for much like a garden must be fertilized and weeded. Just as if you stop watering the garden, if you starve your marriage of the fertilizer it requires, it will slowly wither and die. Spending energy to “fix” the wrong issue accelerates the problem. Trying to “feed” your marriage the wrong “food” stresses both people. Ignoring issues simply allows the weeds to grow in your relationship and eventually suffocates the good feelings. For all who have rocky points in their relationships (and that means everyone at some point) begin by assuming you don’t understand what is really causing your problems – begin by correctly diagnosing what the root cause is and then swiftly correct it. MarriageOS has helped tons of great people and couples uncover root causes and move past them to ignite EPIC happiness in their relationships. PreviousMarriage in Crisis? Has your lover fallen out of love with you and you’re desperately struggling to SAVE your relationship?